Being our guest means you can enjoy discounts in the town through our handpicked Harrogate Lifestyle Partners! During your stay we want you to enjoy the Harrogate Lifestyle as well as your stay in the apartments. We have therefore handpicked businesses in the area and invited them to become Harrogate Lifestyle Partners because we believe they can offer you a superb experience during your stay with us. Our Harrogate Lifestyle Partners include discounted concierge and tour services available through YorTours, you can enjoy discounts and extras in some of our favourite restaurants close to us and some local independent shops with an exceptional reputation such as H2K of Harrogate, who stock our apartments with some of their luxury skincare products giving our guests the chance to try before you buy from their lovely shop in town. You can also enjoy discounts on experiences with Live For Today Adventure Company, Concept Fine Wines who can be booked for wine and cheese tastings in your apartment and many more. Simply book the experience/s that you wish to enjoy during your stay with us and advise the business at the time of booking, that you are a guest of ours, therefore eligible for the Harrogate Lifestyle Partner offers. Harrogate Lifestyle Apartments cannot be held responsible for the removal of any partnerships prior to a guests stay. We would like to thank all our Harrogate Lifestyle Partners for helping our guests make the most of their stay. Guests will be required to show our Harrogate Lifestyle Partners their booking confirmation email from us as proof of eligibility. How Stean Gorge is a 45 feet deep limestone gorge at the head of Nidderdale. To reach it from Harrogate, you drive via the picturesque town of Pateley Bridge, then continue a further 7 1/2 miles up the beautiful winding road along the side of Gouthwaite Reservoir in this narrow dale to Lofthouse. 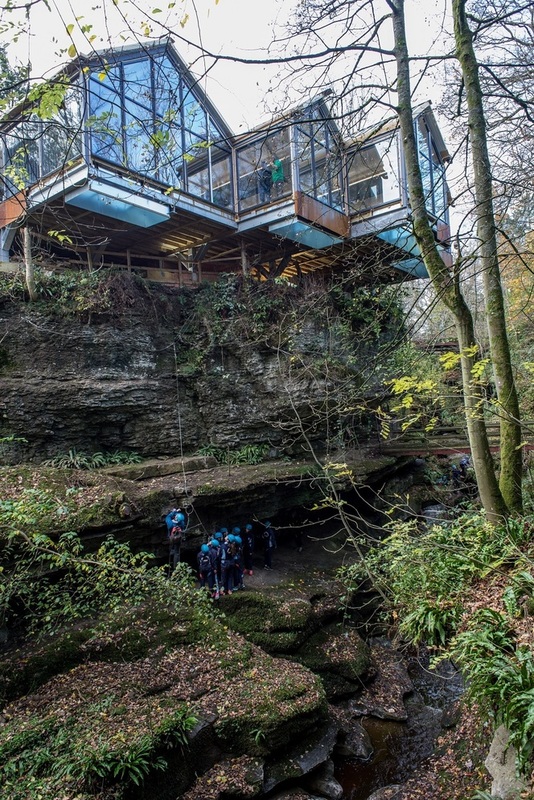 The visitor centre has its own café where you can stand on the glass floor that overlooks the gorge and Tom Taylors cave. You may see people enjoying the abseiling & gorge walking or Via Ferrata as you take your refreshments in the café. You will need the light from your mobile phone to see through Tom Taylors Cave. Enjoy your journey to this special place. Offer: Customers of Harrogate Lifestyle Apartments will be granted FREE access to the gorge, walkways and caves. Nick Smith from YorTours specialises in bespoke tours of Yorkshire and offers Concierge Services including Rail and Airport Transfers. All of which can be enjoyed in the comfort of a luxurious 6-Seater Mercedes-Benz. Offers are exclusively for Harrogate Lifestyle Apartment Guests. Must be booked in advance and is subject to availability. Airport/rail station transfer offer: Guests receive a 10% discount on all airport and rail transfers. Tours promotion offer: Full Day pre-booked Driver Guided tours will include 1 x Yorkshire goody bag "A Taste of Yorkshire" PLUS a chilled glass of Prosecco for each guest on the day tour. All tours are led by a Blue Badge Tour Guide for Yorkshire - as recognised by the World Federation of Tour Guides. 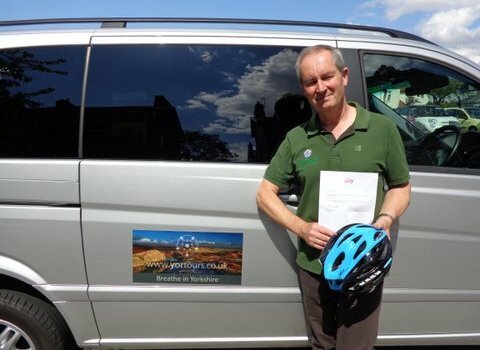 Nick Smith is a local of Harrogate and member of the Institute of Tour Guides, the British Guild of Tour Guides, York Minster Guide, a Member of Welcome to Yorkshire, is an Advanced Motorist Institute Member and holds a TripAdvisor Certificate of Excellence Award. Early Catch and lunch menus offer fixed priced options from this popular and much-loved Harrogate institution. Please check times directly with the restaurant. For over 40 years, The Drum and Monkey has been serving the finest seafood and fine wines. Located in Harrogate’s exclusive Montpellier Quarter, just five minutes from your apartment, this independent and family run restaurant has an intimate feel. It’s perfect for a leisurely lunch, a relaxed evening with friends or celebrating at the bar with fresh oysters and champagne. The à la carte menu offers classic dishes such as lobster thermidor and fish pie, alongside local specialities such as Nidderdale trout and Whitby crab. The ever-changing specials menu reflects the seasons and the creativity of the chef and his team. Every dessert is handmade and offers traditional favourites complimented by a range of in-house ice creams and sorbets. When it comes to the wine list, the knowledgeable team are on hand with recommendations from the hand-picked cellar to provide the perfect, well-priced accompaniment. Offer: Harrogate Lifestyle Guests receive a free glass of house wine with their meal. This offer is available every lunchtime and evening. The Gino D'acampo restaurant in Harrogate is located just around the corner from Harrogate Lifestyle Apartments and is the place to go to enjoy some Italian flavours with a cheeky Gino twist, whether you are popping in for lunch or dinner and dining the night away until late! 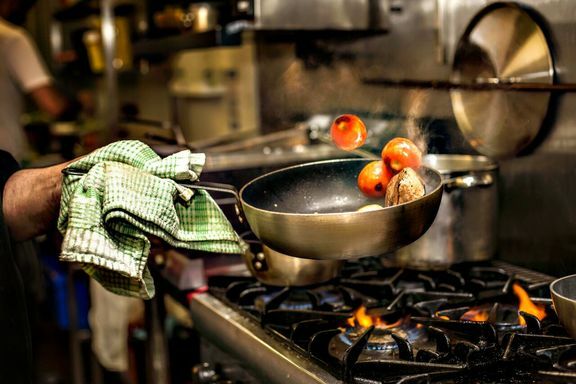 When it comes to a real Italian experience, it’s all about perfecting that balance of quality ingredients, delicious drinks and Italian inspired sumptuous surroundings and the Gino D’acampo My Restaurant Harrogate has it all and more! With nothing but the freshest of ingredients, time perfected recipes and an atmosphere that’ll turn your late lunch into an early evening of fun, the restaurant has quirky surprises for everyone, from an open kitchen to a games room, a foto booth to an ‘any weather goes’ roof terrace and Prosecco bar, make sure to pop down to Parliament Street and say ‘Ciao’! Offer: 20% off your food bill when you tell them you are a guest of ours and are dining here during your stay, plus £20 gift to spend on your next visit in any of our restaurants when you register for a free club individual card. 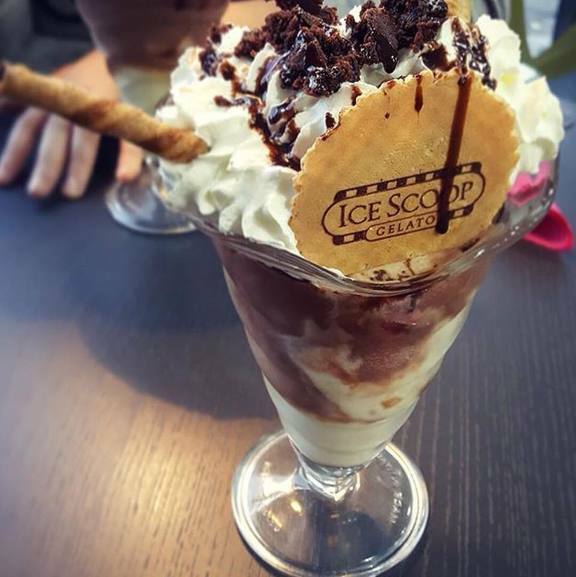 Ice Scoop Gelato is a ludicrously delicious dessert parlour, here to satisfy your sugary desires and to provide you with Insta worthy desserts. We serve crepes, waffles, hot cookie dough, cakes and coffee, plus much, much more. Looks good but tastes even better. If you don’t believe us, there’s only one way to find out - come and try it for yourself! 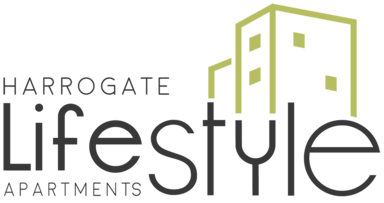 Offer: Harrogate Lifestyle guests receive 15% OFF the bill! 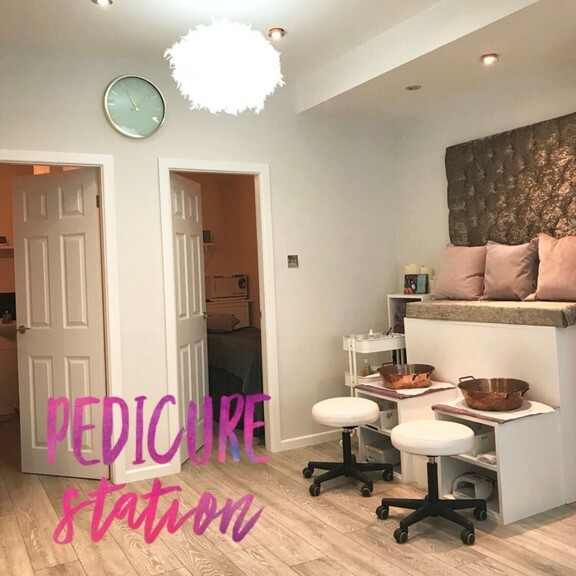 With a vast selection of products, and a wide range of Nail & Beauty treatments available, SNOB really does have something for everyone. Sculpted, bespoke nail enhancements in both acrylic and gel are designed around your look and your lifestyle, the beautiful nails you would like, can now be yours. We always carry the entire CND Shellac colour range and only ever use the best professional products available. From a simple lash tint to eyelash extensions, our range of eye enhancements will accentuate your eyes, and our He-Shi spray tan will leave you looking and feeling gorgeous. Offer: 10% off when having a treatment during your stay - We advise guests book in advance. Supporting local independent companies in Harrogate is important to us so we have invited the team at Starling Independent Beer and Coffee House to be a Harrogate Lifestyle Partner. We love the friendly welcoming vibe here. Perfect for breakfast as it's so close to our serviced apartments. WINNER OF THE HARROGATE & RIPON CAMPAIGN FOR REAL ALE PUB OF THE YEAR 2018! Coffee house serving food and great beers by day and a bar by night this is a great place to enjoy with friends or flying solo. Enjoy! There are 16 draft taps, as well as a bespoke range of bottles and cans. They also have 20+ gins, 14 fine wines by the glass and a compact but quirky cocktail list. The specialist espresso coffee is exceptional and they have 3 guest coffees plus 8 Loose leaf teas too. 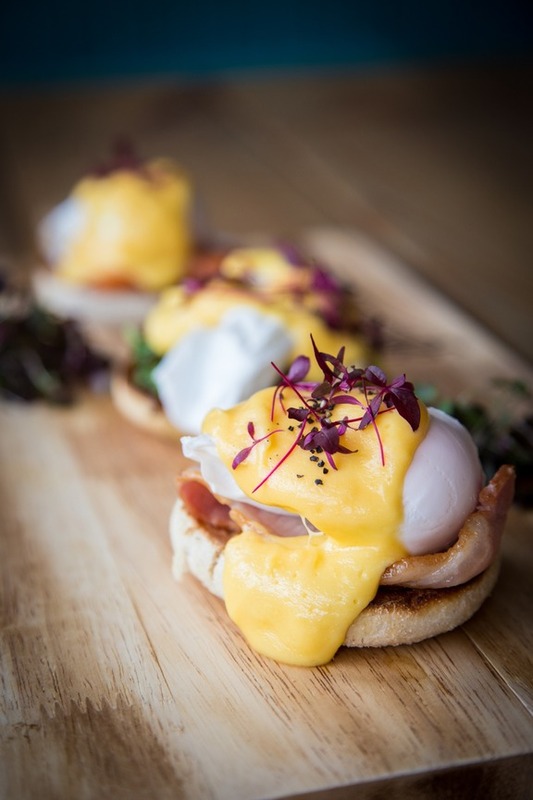 An extensive brunch menu is served from 0900 until 1430 daily. Neapolitan pizza and poutine are served through lunch and evening. Click here for the full menu details and food service times. Offer: 10% off your food order when dining during your stay. If you love vintage fashion and furniture then this is the place to pop in and visit during your stay! 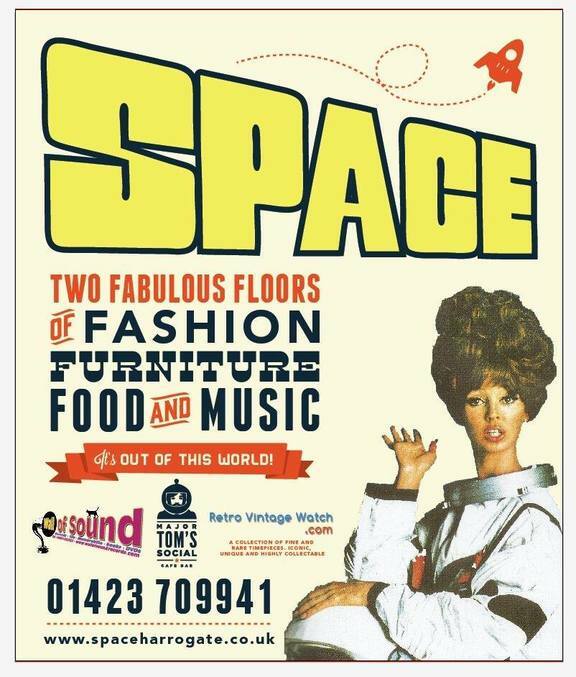 SPACE is located just a short walk away from our apartments and is an Aladdins Cave of goodies when it comes to retro design and fashion. Check it out! There is even a bar upstairs and a Vinyl Record shop! Offer: Harrogate Lifestyle Guests can enjoy a 10% discount on all purchases during your stay. The toiletries in the apartments are created by Yorkshire brand: H2k of Harrogate, who are a specialist independent skincare company based in Harrogate. 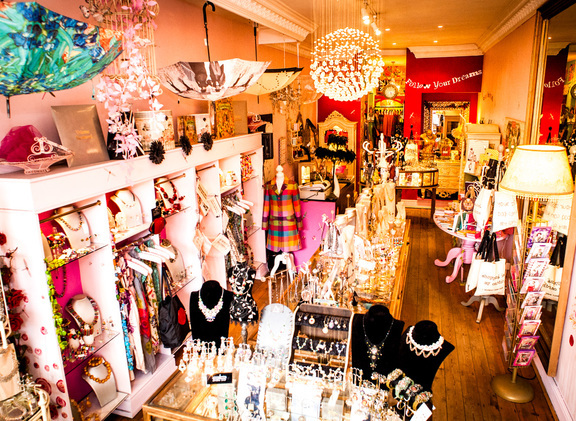 Their flagship store is next to the Crown Roundabout on Montpellier Parade, set within the shopping district of the popular Montpellier Quarter. 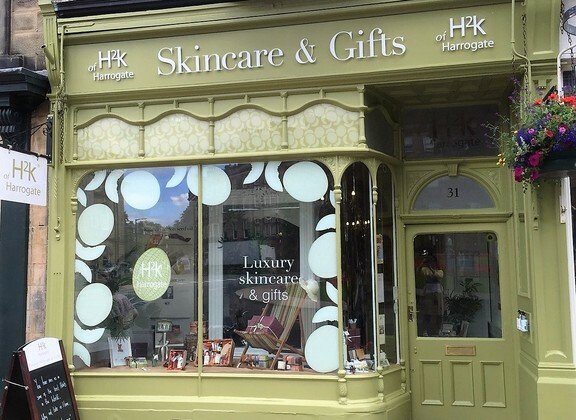 H2k of Harrogate is one of the U.K.'s leading suppliers of quality beauty products and gifts, bought by leading hotels, health clubs and spas throughout the UK, the French Alps, Australia and the Middle East. Harrogate Lifestyle Apartments love to support our local businesses and that's one of the reasons we chose H2k as our toiletries supplier for each of our luxury serviced apartments. Whether you're looking to kick off the day with a morning pastry, have a long relaxing brunch with friends or a romantic evening dinner for two, Côte offers the perfect restaurant dining experience for you and your loved ones in an elegant French Brasserie setting. Take a look at our Menu here. 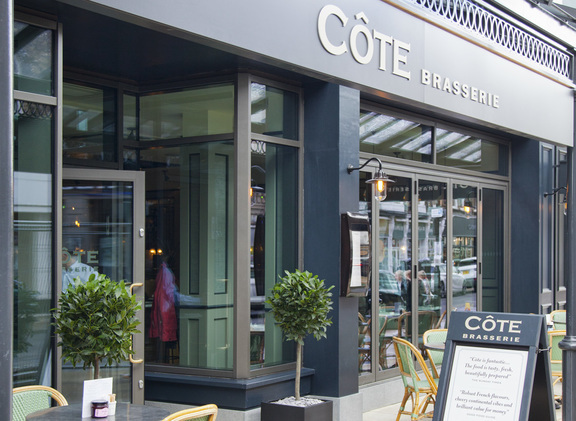 Offer: Complimentary Kir Royales when guests dine with Cote Harrogate Brasserie after 12 noon or Complimentary Mimosas when you dine for breakfast. Available 7 days a week! 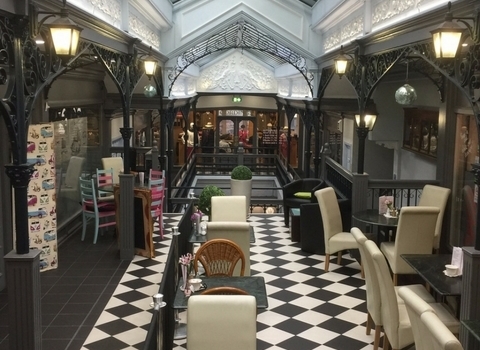 We are a friendly, family-run Independent Tea Rooms, nestled upstairs within a unique Victorian Arcade setting. We offer hot and cold drinks, breakfasts, light lunches and a huge choice of homemade cakes, as well as Afternoon Clotted Cream Teas with freshly made scones. Offer: Harrogate Lifestyle Guests receive 10% Off your bill. Are you looking for a little elevation during your stay with us? Visit the Harrogate Climbing Centre to get your adrenaline pumping. 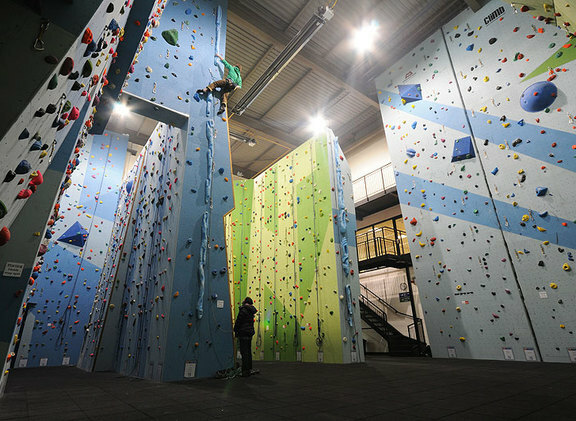 The indoor climbing wall is quite a challenge, high walls and bouldering areas that will even test the skilled climbers among you! There is also a cafe and Rock Shop climbing shop on site. Located on Hornbeam Park Avenue, Hornbeam Park, HG2 8QT there are superb rail links to the Harrogate Climbing Centre, as Hornbeam Park rail station is just a 5 minute walk away. If you decide to drive there is also free parking on site. Offer: Harrogate Lifestyle Guests receive 10% Off Taster sessions and discounted rates for corporate groups and all activities must be booked in advance. A perfect indoor wet day activity. Call 01423 815024 or visit www.harrogateclimbingcentre.com for more information. At Ripley Castle (HG3 3AY); High Ropes, Archery, Body Zorbing, Orienteering, Bush Craft, Raft Building, Canoe/ Kayaking. 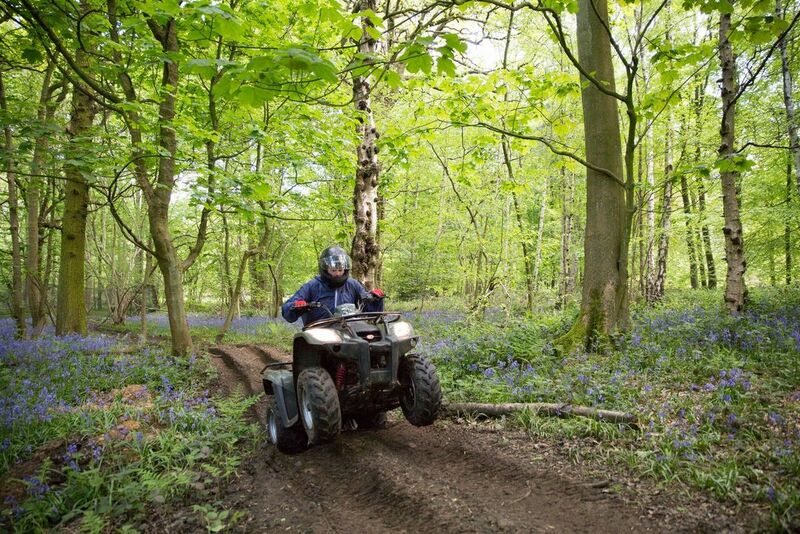 At Hazlewood Castle (LS24 9NJ); Quad biking, Air Rifles, Axe Throwing, Paint balling, Laser tag, Bush Craft, Archery, Orienteering. Offer: Harrogate Lifestyle Guests receive 10% Off all activities. Every activity must be booked in advance directly with Live For Today. Located on Crescent Road a short walk in the direction of the Valley Gardens, the Royal Pump Room Museum and Mercer Art Gallery, you will discover Hales Bar. 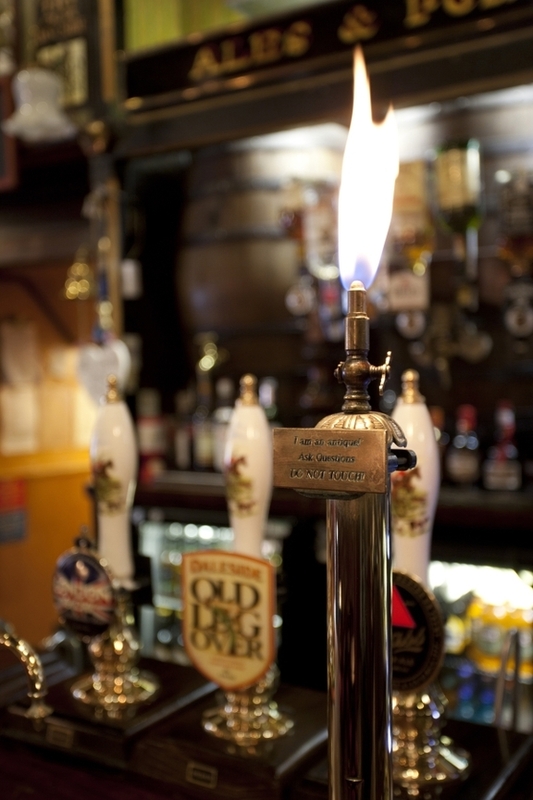 Hales Bar is the oldest gas-lit bar in the area and offers a great selection of ales and fine food! Steeped in history this bar will surely delight those who enjoy a variety of ales and a Traditional British Fayre menu. Take a look inside. The lounge bar can accommodate up to 120 people and the Vaults bar, (which can be hired for private functions, meetings, birthday parties, business events and informal dinner parties) can accommodate up to 30 people. There are weekly events including live music and kareoke. You will most certainly be entertained and well fed at Hales Bar. Offer: 20% OFF food for our guests when dining there during your stay and if you wish to hire the Vaults, it will be absolutely FREE for our guests and can occupy up to 30 people. "We’re not part of a big chain, just a traditional old fashioned pub with simple rules & expectations. All we want is for all our guests to enjoy their visit, leave with a smile on their face & return again very soon." To make a reservation please call Hales Bar on 01423 725 570. Reservations are not guaranteed as they are subject to availability. What better way to spend an hour and a half, than at your own private tutored wine tasting. This event is held at your booked apartment and includes a fine selection of wines from around the world, including a sparkling and five other wines. In a relaxed wine tasting, Concept Fine Wines will guide you through how to taste wines, what things to look for, how best to partner wines with food, as well as how to store and serve wine. And being a private event, it makes for the ideal opportunity to ask any questions on wine and wine tasting that you may have had, but would never ask in a room full of strangers! 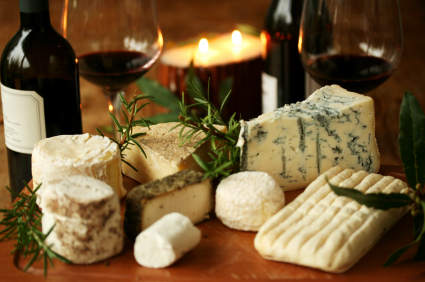 The experience also includes (for a small supplementary charge of £5 per person) the option of a fine selection of cheeses and biscuits that have been carefully chosen to complement the wines. A special purchasing discount of 10% on any of the wines tasted during the experience is also offered. Offer: An exclusive rate of £99 for guests of Harrogate Lifestyle Apartments includes a Wine Tasting Experience for one, two, three or four people inclusive. Plus a £5 per person supplement, should you wish to upgrade and include the Cheese Tasting Experience. Subject to availability. Please call Mark Chapman, the Owner of Concept Fine Wines directly to book your experience on 01423 701418, after making your reservation for your stay with us. Not only do Weetons provide our breakfasts should guests wish to have a food pack prepared and in their apartment for their arrival. But Weetons restaurant are also offering our guests a discount on their fantastic "Grazing Menu" should you wish to dine there. Offer: 10% off the Grazing menu between 3pm-6pm daily. Weetons are passionate about food and strive to provide customers with an enticing range of fresh and food cupboard must-haves; their fresh food is premium quality and locally sourced wherever possible and they work tirelessly to establish long term relationships with their farmers, growers and suppliers. Exclusive Pan South Asian Bar & Restaurant in Harrogate's Empire Theatre Building. 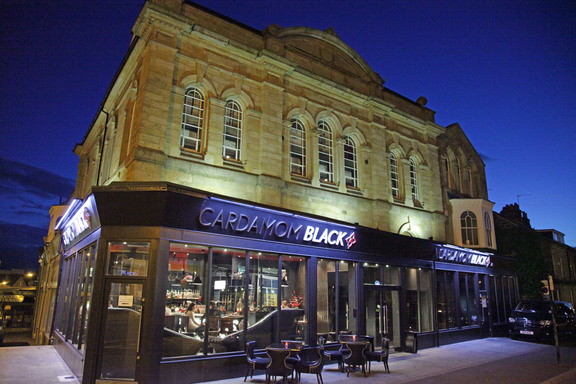 With a fully licensed bar and restaurant that can cater for up to 300 guests, Cardamom Black have two Bar Areas, a Fresh Fish Bar, Private Dining Facilities & Conferencing and a Grand Stage Area. Offer: 10 % off the total bill when dining during your stay. To make a reservation please call the restaurant on 01423 313 136. Looking for something a little different to take home with you? We say, think of "Bijouled" as "Be Jewelled!" If you visit Bijouled on Parliament Street, just around the corner from Harrogate Lifestyle Apartments, you will find a seamless mix of contemporary and vintage styles of jewellery. The owner Georgina specialises in selling unusual jewellery, bags, clothes, accessories and gifts from a combination of the most coveted, unusual and celebrated national and international designers including the iconic Vivienne Westwood– a mix you'd be hard pressed to find anywhere else in the country. Offering a friendly and relaxing shopping experience and with price points that will suit all purse sizes, Bijouled is the perfect choice for that special something. Offer: 10% off any purchase made during your stay. In June 2017, Buon Gusto was launched just around the corner from our apartments. Their aim is to become an “Iconic” Italian Restaurant, ensuring each guest receives prompt, professional, friendly and courteous service. 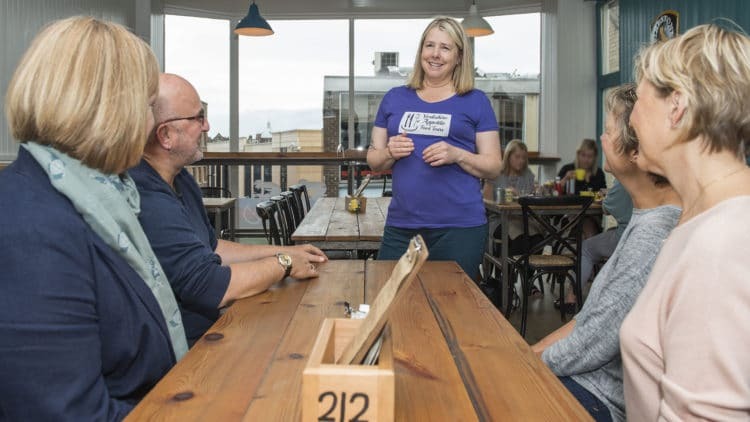 This restaurant prides itself on its menu being fresh, organic, with the food being prepared in a simple manner from their kitchen which has a traditional (authentic) style, in order to satisfy their customers’ heart and soul. "The love and passion for real Italian food has made us cook what we have eaten back home in Italy. Our team of chefs are led by art of food who is trained and gained an expert skills in Italian food. Buon Gusto bringing a proper Italian food to Harrogate. You’ll always come back for more!" Glorious fresh food and prompt, impeccable service. Let Shpend, Gianluca, Giuseppe and the team make this a vibrant and unique restaurant experience for you. 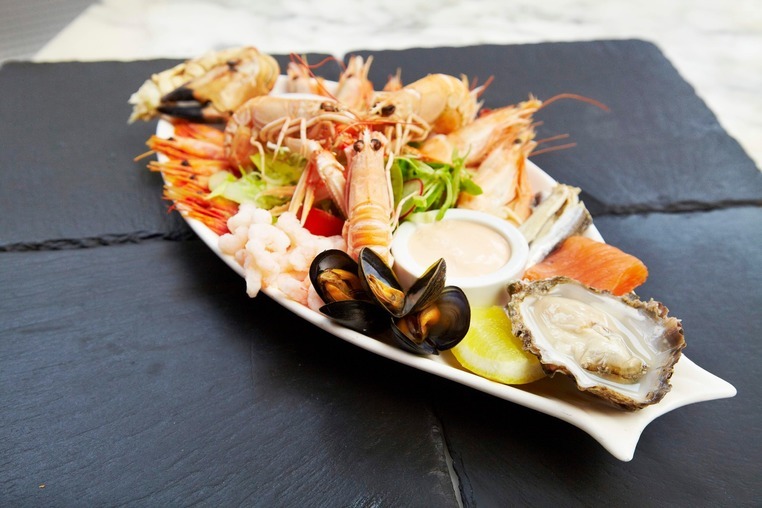 Offer: 20% off the a la carte menu for Harrogate Lifestyle Guests. To make a reservation please call the restaurant on 01423 541855. Struggling for ideas on what gifts to take home for family and friends or perhaps you just want to indulge in a selection of cheese and crackers in your apartment, well The Cheeseboard is a huge hit for the locals and for good reason! 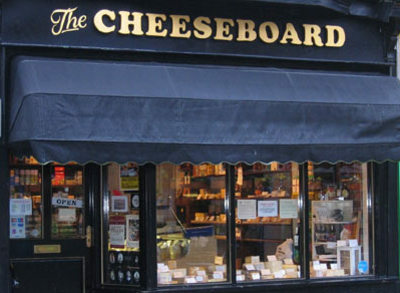 Just a short walk away from the apartments you will find The Cheeseboard on Commercial Street. An independently run business since 1988 that boasts itself as being one of Yorkshire's finest cheese shops. The fine selection of over 200 types of speciality cheeses, a range of local chutneys, crackers and gift hampers will surely tickle your taste buds. Taste and discover our Yorkshire. Visit some of our most loved eateries. Taste amazing local food sourced locally in Yorkshire. Join us for an informative walk around Harrogate. We stop at several of our greatest independent food and drink establishments so you can experience our local food and drinks scene. Discover historical landmarks and architecture. 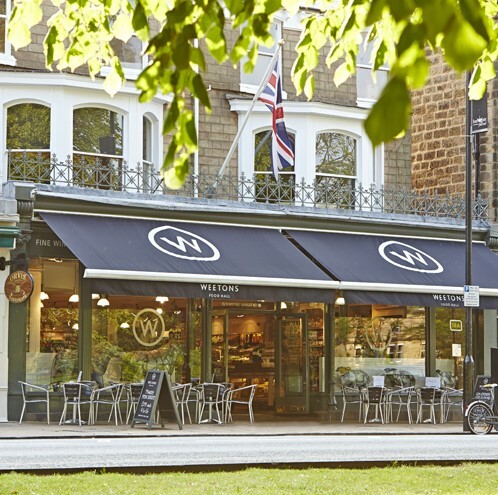 Get an insight into Harrogate Life. The Yorkshire Appetite food tour is a fantastic way to spend a day in Harrogate experiencing its culinary and cultural highlights. Yorkshire Appetite have knowledgeable local guides who will take you on a journey of discovery, stopping to taste some delicious food and drink along the way whilst learning about the people and food that make our town such a great place to visit. You will find out about the history of our elegant spa town and what made it what it is today. The tour is at a gentle pace around the Montpellier Quarter of Harrogate which is the cultural centre of the town. You can enjoy the company of other foodies and savour locally sourced food and drink as part of your long progressive lunch! Offer: Harrogate Lifestyle Guests can enjoy a 10% discount. 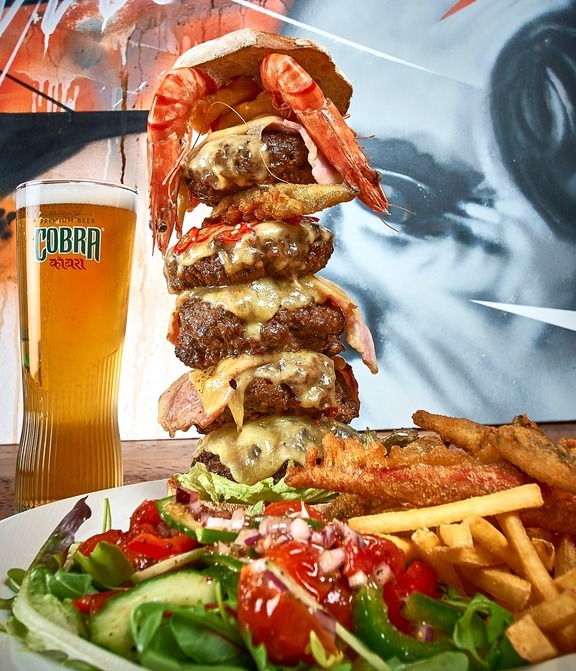 This restaurant offers a great range of homemade burger creations alongside pizzas and much more. All of the burgers at Burgers and More are homemade with quality local mince using traditional methods (squash it all together so its nice & juicy). Each burger is served in a lightly toasted ciabatta and comes with french fries & salad garnish. Their 12 inch pizzas are topped with their own sauce, mozzarella cheese and dressed with rocket leaves and herb oil. When our team met the restaurant owner Ian, he told us : "We source the majority of our foods locally , from Ramus ( seafood ) , Little Breads ( puddings ), Vanillis ( ice cream ) to mention but a few. " Offer: Harrogate Lifestyle Guests receive 20% OFF the food bill when dining here during their stay. Restrictions - The discount does not apply Saturdays after 5pm and not on mothers day , Fathers Day and not to be used in conjunction with any other offer.